Happy Thursday! Just one more day in this week. Yay! I’m so ready for the weekend, but let’s not get ahead of ourselves because we still have Friday to go. 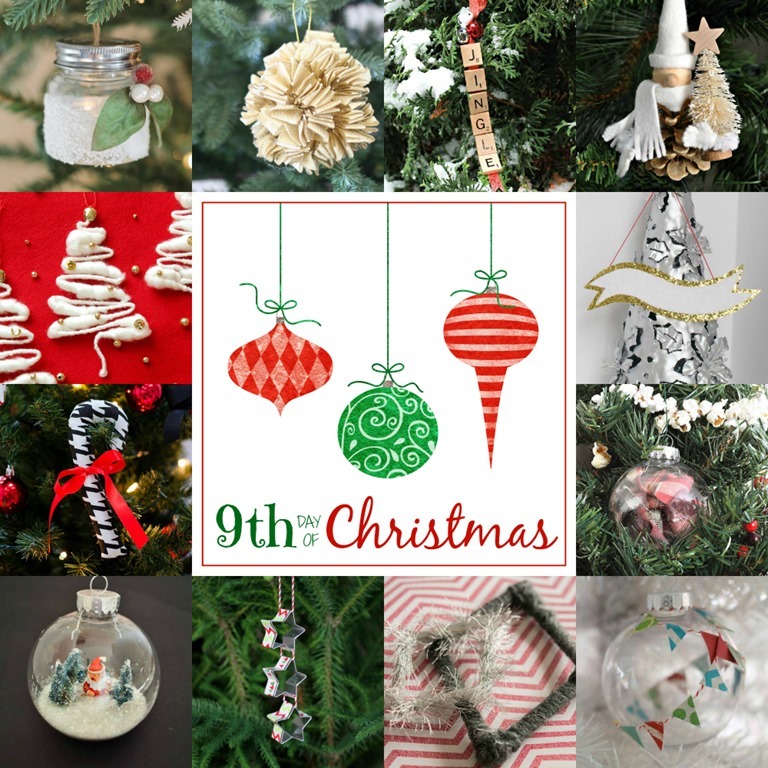 Today, I’m sharing kid-friendly Yarn Wrapped Christmas Ornaments. They are so simple. 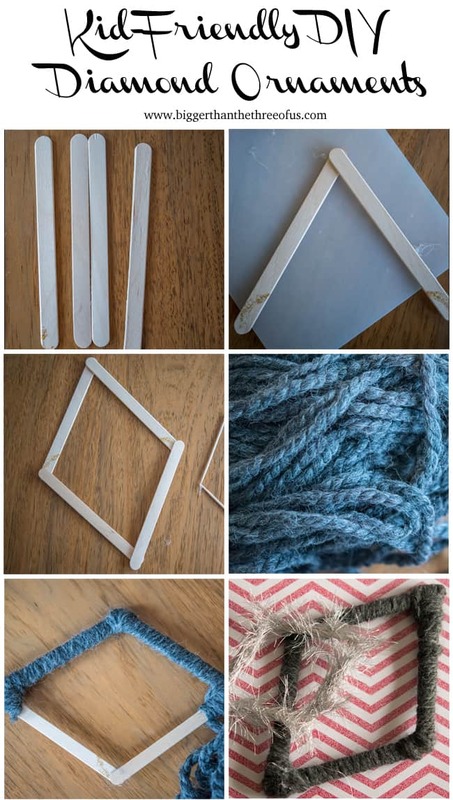 Using either popsicle sticks or toothpicks, create diamond shapes by hot gluing the edges together. 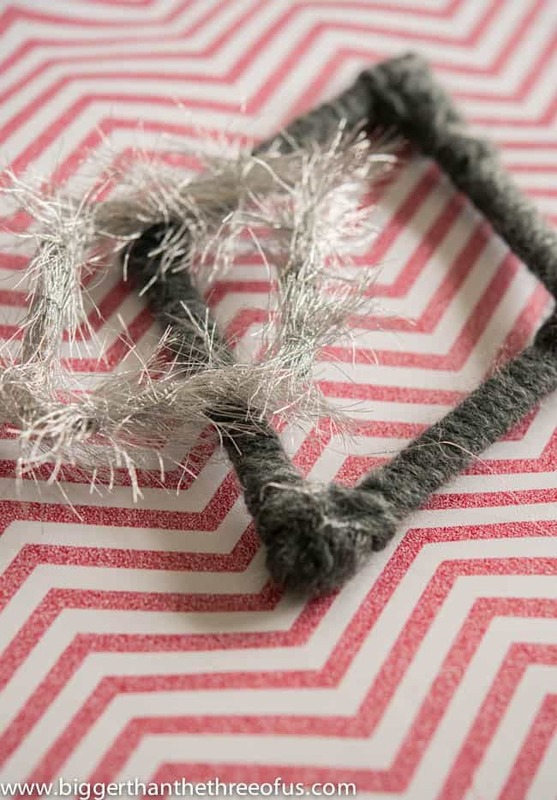 Once the shape is made, take ribbon or yard and wrap the diamond. Easy peasy! The gray yarn one was done with popsicle sticks and the silver hairy one was done with toothpicks. Oh, and I think this is officially my shortest “how-to” ever. =) Could you incorporate these Yarn Wrapped Christmas Ornaments into your decor year-around?